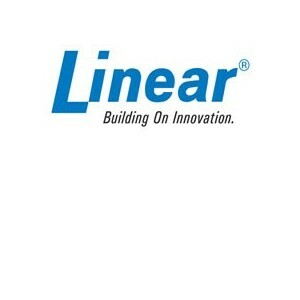 Linear has been at the forefront of security and access control front technology for over 50 years. Specializing in security camera systems, domed cameras and access control products, Linear continues to adapt to the changing security needs of the marketplace. Access control solutions are created for single doors, networked systems and industrial vehicle fleet management. Click the link for more details on Linear Access Control Systems. Primary access device for 125 residents 2 Line x 16 Char. Display. Vandal resistant heavy duty environmental flush mount keypad. For indoor or outdoor use. Touch sensitive flat piezo keys. Indoor/outdoor access control lockset with keypad, 120 user codes, 1-6 digit codes, clutch lever design, four AA, battery powered, override key. Vandal resistant environmental onboard control keypad, 120 Users. For indoor Or outdoor use. Touch sensitive flat piezo keys. 8 output relay board for IEI 2000 series keypads.